On the Wednesday before Christmas, Fr. 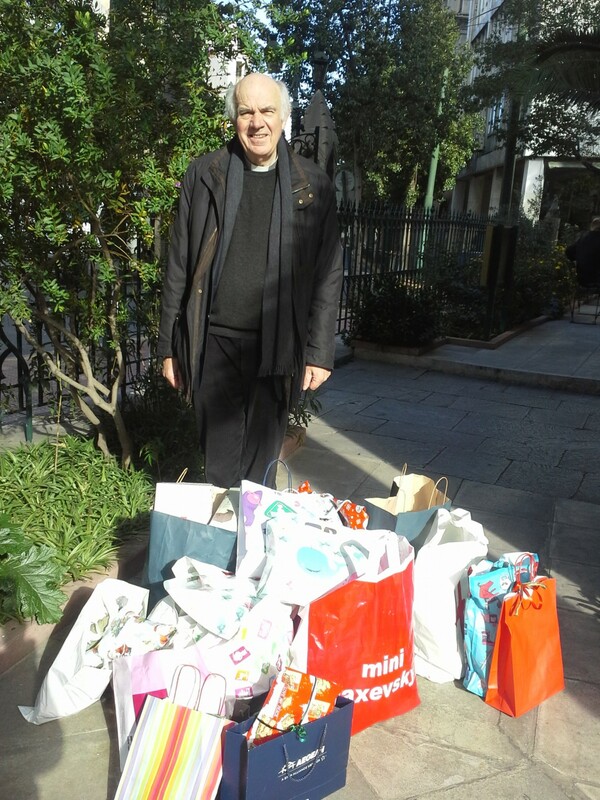 Malcolm received at St Paul’s a collection of woolly hats, scarves, and gloves brought together by the parents of ‘Hopscotch International Kindergarten’ in Vari. These were immediately sent to the refugee Reception Centre in Samos through the Greek NGO Medical Intervention. Fr. Malcolm sent genuine thanks to the parents. Given the recent blast of extreme cold weather such gifts are much needed. Over the same week, Medical Intervention sought emergency funding of €7,500.00 from St Paul’s to cover the cost of sixty tents along with milk formula for 531 babies. The Chaplaincy was able to provide immediately such funding from donations that had accumulated in the UK. Medical Intervention has a substantial presence in the refugee camp in Samos. It is responsible for the statuary health checks for all refugees who arrive on the island as well for their general medical well-being whilst resident within the camp. Furthermore, it stocks a warehouse of clothing, shoes and toiletries to meet the personal needs of the refugees. From a generous collection received at the Christmas Carol Service on Christmas Eve the Chaplaincy was able to respond to another need that had been brought to its notice. A hostel for 22 Unaccompanied Minors, through a shortage of funding that was not of its own making, was in desperate need of new underwear, socks and other items for the residents of the Hostel – the cupboard was bare. €700.00 was drawn from the collection to purchase such items. The manager of the Hostel, a delightful person but desperate, was most grateful. She saw such assistance as being both moral support as well as practical.